First few photos in the gallery were Wind Rock. Majority were taken at Tallassee where we no longer ride, but I hike there! 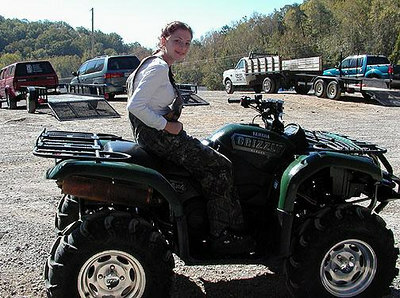 Crystal "Bocephus" Koogler at Windrock on the grizzly. Crystal Bocephus at Wind Rock.